While most of my travel posts till date have been on destinations or particular attractions, this one is about some of the most simple yet insightful sights that one comes across while travelling through rural India. 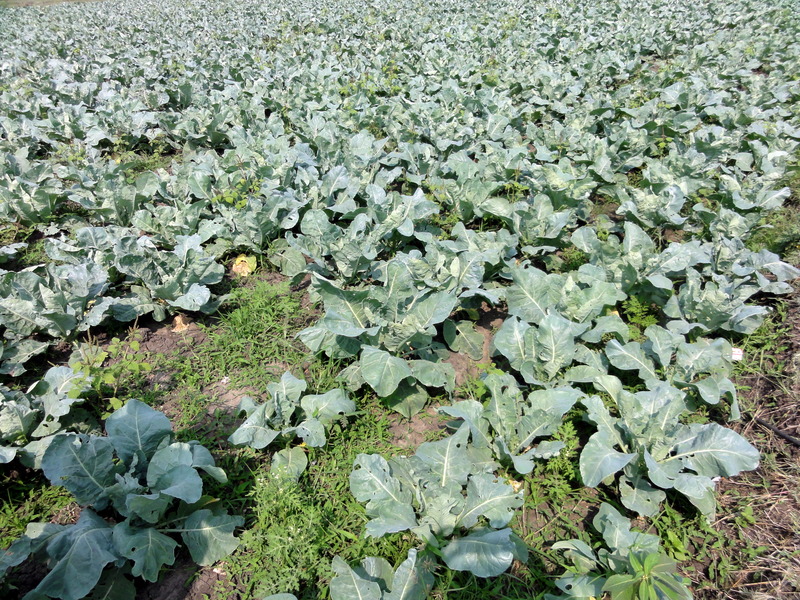 Lush green fields that come across as a breath of fresh air, both literally and figuratively, are a common occurrence as agriculture is the main occupation in most of the country side. 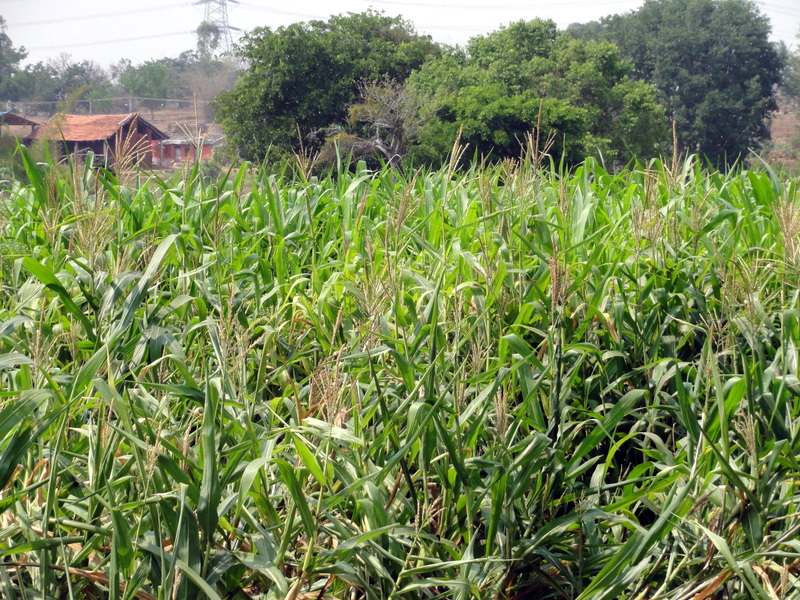 Corn, sugarcane and paddy were some of the main crops we saw being cultivated in and around Mosale. 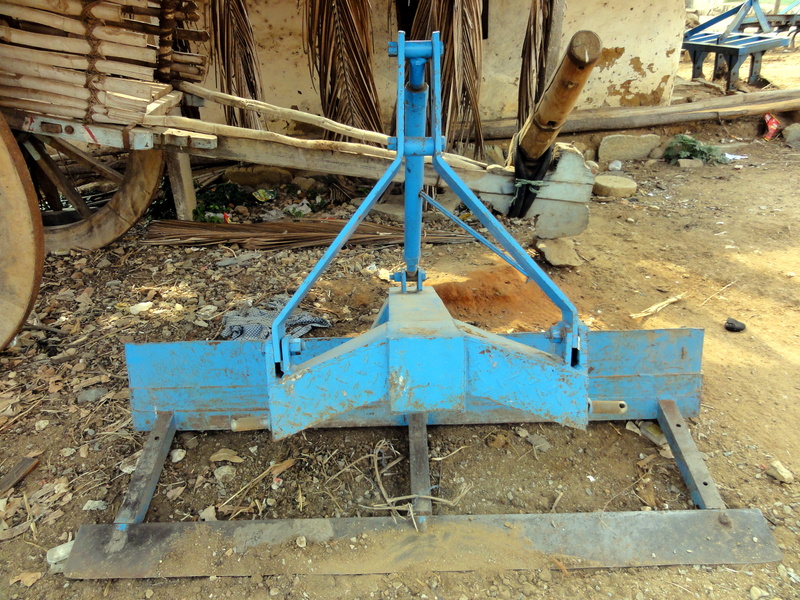 The children had the novel experience of viewing the varied agricultural tools stationed outside most of the houses. More importantly, the tools bear testimony of all the toil and hard work that goes behind tilling, ploughing and farming in general. It was a great chance for them to understand the humongous effort behind growing and harvesting the produce that we so effortlessly and often, mindlessly pick up from the supermarket in the city. 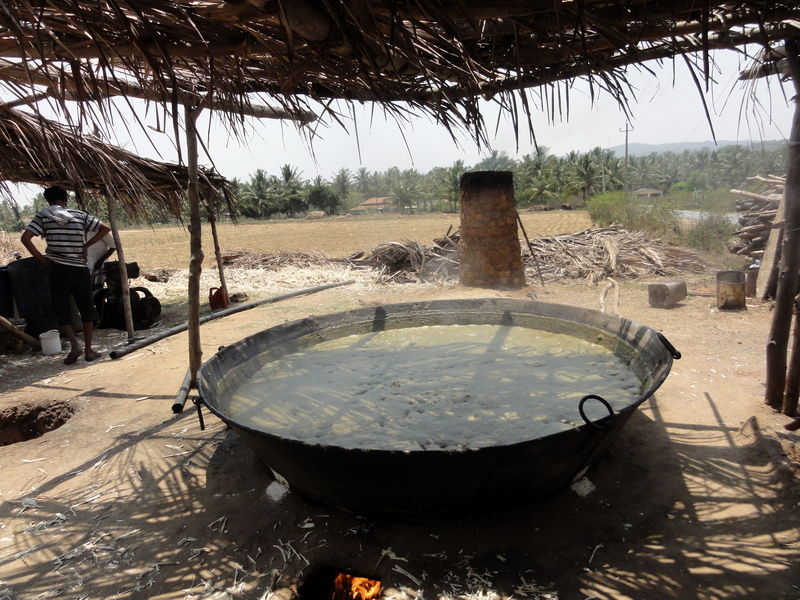 The sight of over matured corn again left to bake in the sun which will later serve as fodder for cattle and the biogas plant in the houses, was definitely a lesson in effective utilization of resources, sustainable and environmental friendly living. 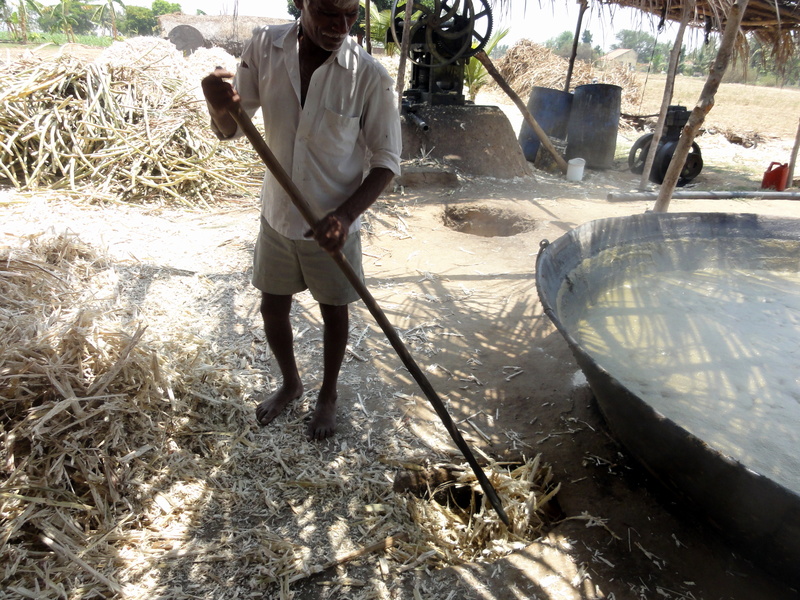 The indigenous method of preparing jaggery from sugarcane in what is called locally an “allada mane” was quite a remarkable affair. 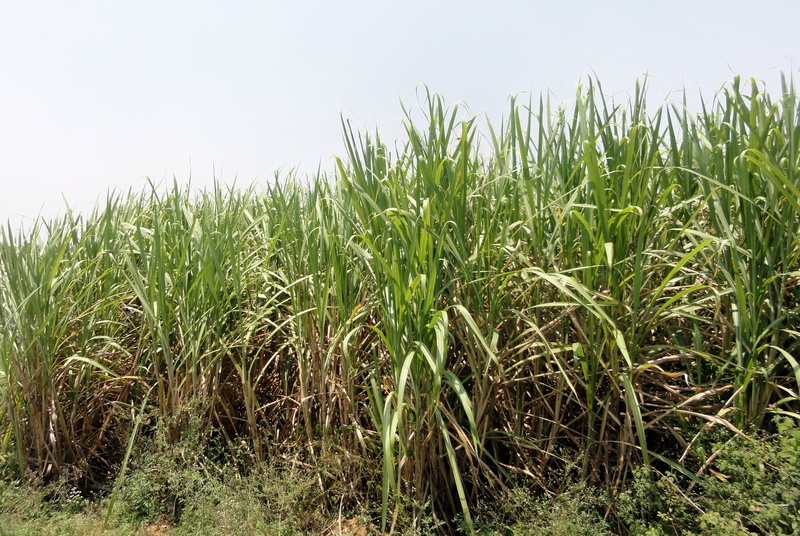 Juice is extracted from sugarcane that is harvested and is made to boil in a huge custom made vessel that is installed in the ground. 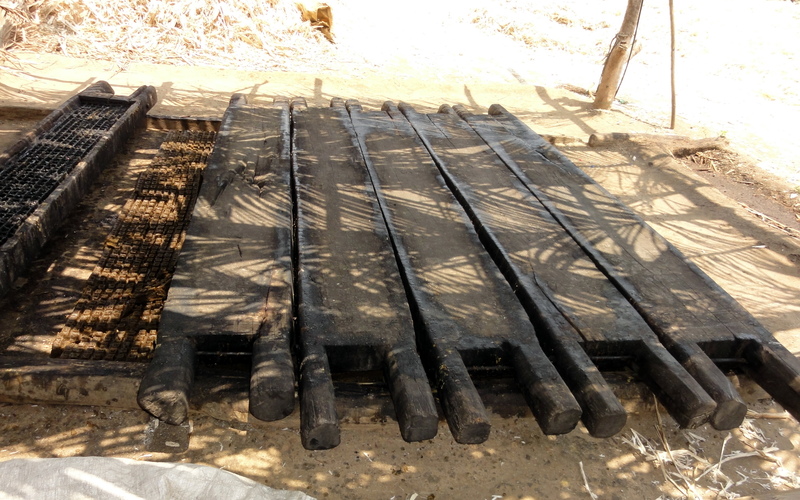 There is a powerful furnace that is constructed underground and the primary fuel is the dry sugarcane stems which is left over after juice extraction. (Yet another lesson in effective waste management and disposal). After a boil that happens for over 6-8 hours, the impurities settle on the surface which is removed by scumming. The juice thickens and turns a pale yellow with almost all the water content evaporated. It is then poured into moulds and left to solidify. 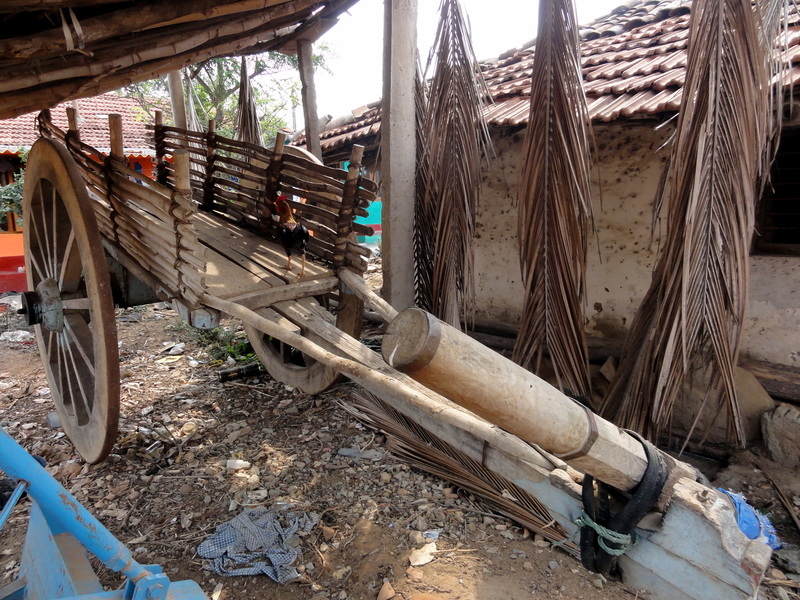 The jaggery thus prepared is picked up by the local merchants and resold. 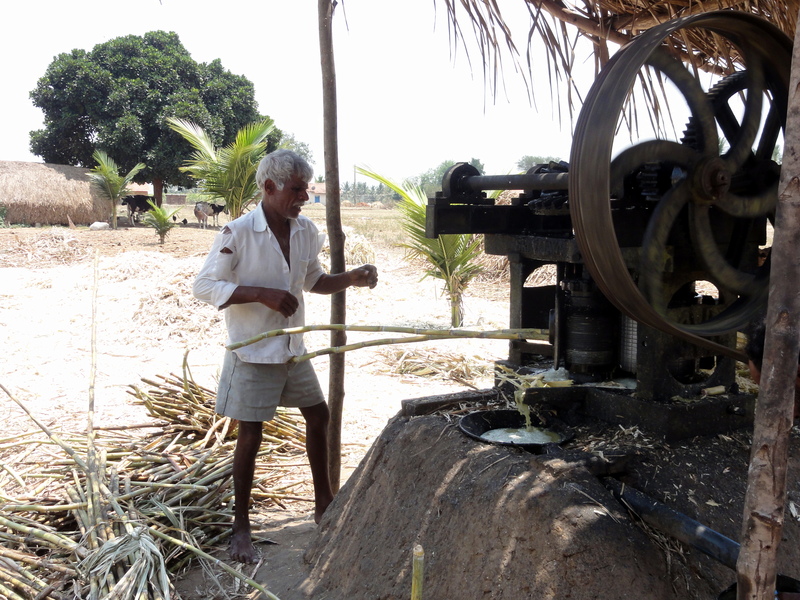 Farmers who do not own such set ups, sell their sugarcane produce directly to sugar factories or local merchants. 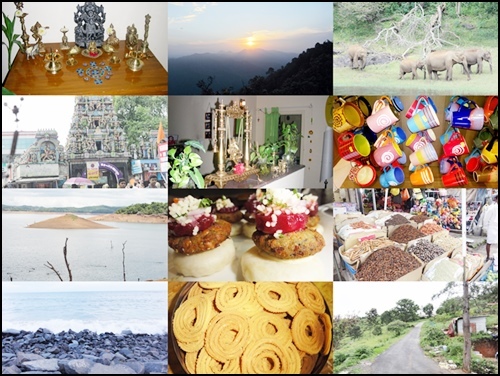 The diverse sights and encounters I had on this trip, proved yet again that travelling can be very enlightening for kids and adults alike. It need not be “sight seeing” in the literal sense of the term but basic day to day practices and the life style followed in the hamlets are definitely life lessons learnt in many ways including humility and being appreciative of one’s roots. This for me re-emphasized that travel is all about the journey and not the destination. Good insight into rural India! 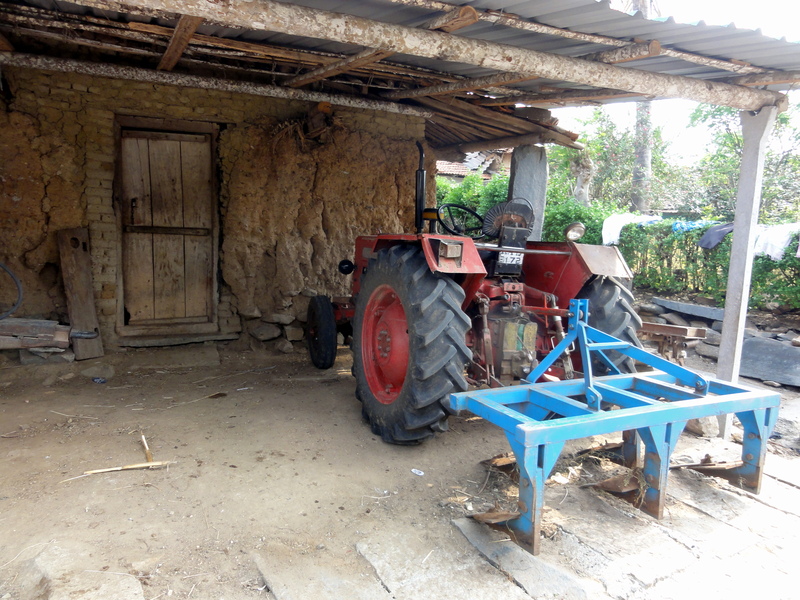 A very interesting post on rural India! Hi Rashmi, ur posts r so unique. I love it..
Coverage of rural area is amazing, truly inspiring. They have uitilized whatever we feel as waste, the simple e.g. 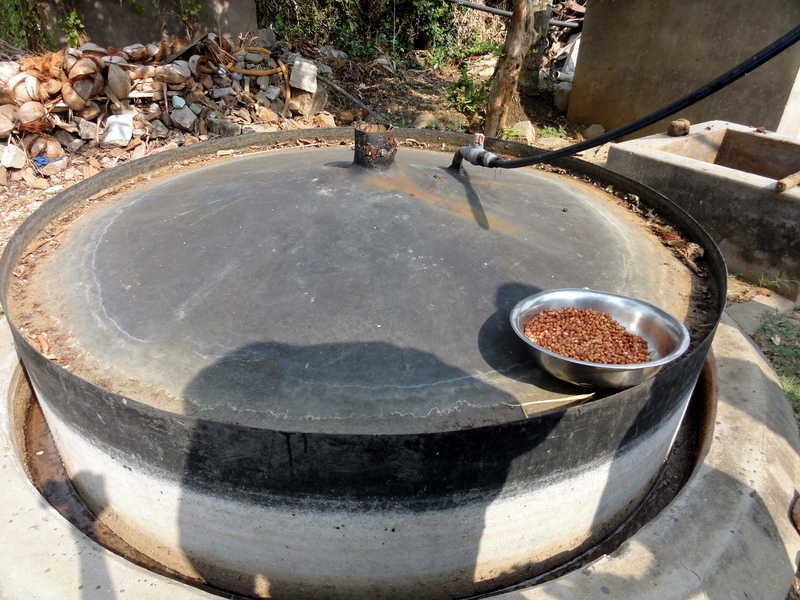 is the waste to biogas conversion. Slowly we are losing the importance of rural and agriculture. Its the right time to respect and encourage the development of rural areas. Thanks a ton Arun! Appreciate you reading and sharing your feedback. This post has made me nostalgic, coming from a small village in punjab I am feeling homesick now.. 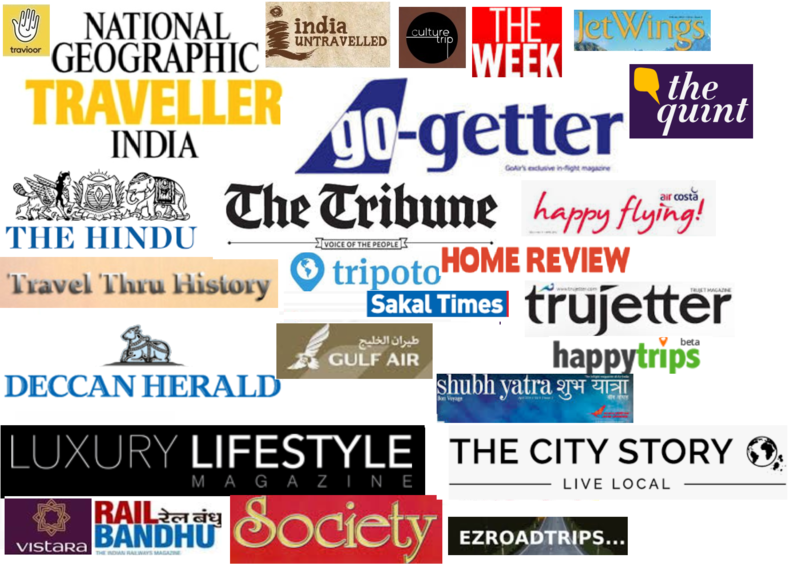 Thanks for reading Bikramjit; glad you liked the post! I love the photojournalistic aspect of this post. You captured it so well–especially the rustic elements!! Wonderful post! Thank you Reeanna for the compliment! Great post! The way you have shown the rural areas with such beautiful pictures is really good! Thank you Arun! Appreciate your reading.. This sure was a learning experience! Great pics. Wonderful Rashmi. It strikes me how I have almost the same set of photographs. I loved the drive to the temple, especially the last few metres were like trespassing through someone’s frontyard! Oh is it..that is nice to know Priyanka! Pics I meant! 😊 Typos rule the world! Sigh! I live at the countryside and i can tell that i feel very well. And we can eat any kind of fruits and vegetables.The life at the countryside is wonderful.